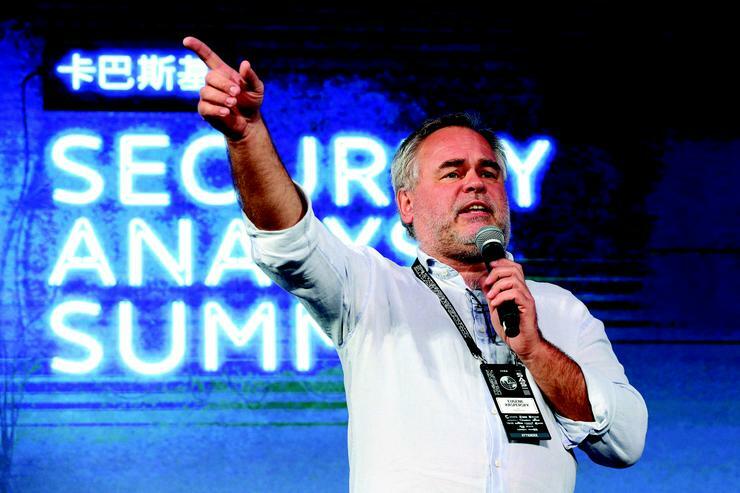 As the drummers in LED-studded military uniforms exit the stage at the opening ceremony of Kaspersky Lab's Singapore summit, on walks Eugene Kaspersky in a blue linen shirt, jeans and trainers, an SLR camera slung round his neck. "You make a picture of me..." he says as he points his camera back at audience members holding up their phones for a photo, "I make a picture of you." The billionaire Russian appears relaxed. Here at the company's annual security analyst conference he is among his own; security experts, mathematicians, researchers, the elite cyber community. Last night he clinked glasses with them at a soiree on the top floor of a luxurious hotel in the city centre. He posed for selfies, helping people get the lighting and angles just right. 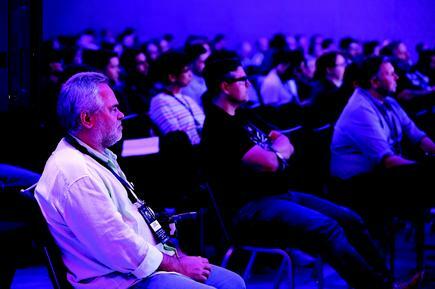 Among the more than 500 researchers gathered here, Kaspersky is something of a hero. On the conference banner, his photo is overlaid with graphics to make him look like a character from a Marvel movie. But outside these supportive surrounds, some see him as a super villain. Kaspersky's military background and training at a KGB-backed technical faculty have seen him linked to the Russian state, with some going as far to say the company's products are used by Kremlin spies for espionage. "Cold War paranoia" is what the 53-year-old has called such accusations in the past. 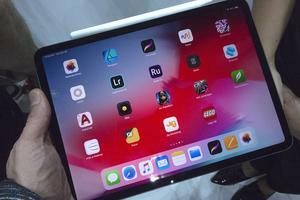 But the accusations are now beginning to bite the company's bottom line. In 2017, the US banned Kaspersky Lab anti-virus software from being used by government agencies amid concerns it could be used to spy on officials or launch cyber attacks. The UK and Dutch governments have since followed suit. Prompted by the ban retailer Best Buy in the US pulled Kaspersky goods from its shelves. According to Kaspersky Lab's own February figures, sales bookings in the US in 2018 were down by 25 per cent. 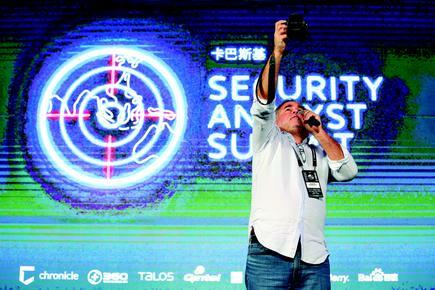 The result is "bad" Kaspersky admitted at a press conference on the second day of the summit, "but it makes us better". The company is now trying to make its response to the growing mistrust a unique selling point. "What doesn't kill you makes you stronger," Kaspersky adds with a smile. Speaking to media on Wednesday – flanked by his skin-headed vice president of public affairs Anton Shingarev and the cool, quiet Costin Raiu, director of the company's Global research and Analysis Team (GReAT) – Kaspersky downplays the financial hit of the US ban. "It's not 100 per cent," he says. According to Kaspersky Lab’s results, given in net sales bookings rather than revenue, the 25 per cent sales dive in North America was cushioned by other markets, particularly the Middle East and Africa, which were up 27 per cent and APAC, Russia and Europe which were all up by 6 per cent. 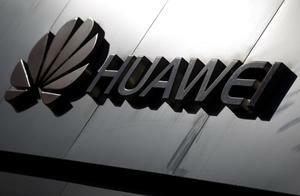 Shingarev said sales in the UK and Netherlands had suffered slightly, but were not major markets for the company anyway. On balance, global unaudited revenue was US$725.6 million, representing a 4 per cent year on year increase. "The company feels well, so I'm not interested in details," Kaspersky says. The sales hit has nevertheless prompted, or at least sped up, the launch of the company's Global Transparency Initiative. The initiative includes "actionable and concrete measures" for independent experts and industry to verify the company's "trustworthiness" Kaspersky Lab says. Two so called Transparency Centres have opened – the first in Zurich, Switzerland in November, the second in Madrid, Spain this month – which allows partners to "come and check" product source code for themselves. Two more will launch by 2020, one in North America and another in south east Asia. In addition, customer data storage and processing for most global regions, as well as software assembly and threat detection updates, has been moved from Moscow to Switzerland. 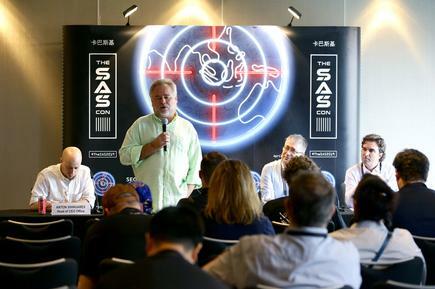 "We are, because of these issues, forced to think about the situation, the geopolitical situation, and the way we work... because of this pressure we were forced to open the first transparency centre, the first company in the industry to do that," Kaspersky says. Such measures will soon become the industry norm, Shingarev adds, giving Kaspersky Labs a headstart on its rivals. "Trust and transparency will be more and more critical," Kaspersky says, "there's no other choice". "The vilification of us in the US: It's not about facts, it's not about proof; it's about politics. And it's really hard to influence politics, we don't want to, we don't have the resources, we don't have the will to do that," Shingarev says. Kaspersky adds that the US action, only "makes cyber criminals more happy". "In general the big companies have been very reticent to give in to this pushback," chips in Raiu. "It hasn't affected trust between researchers. They are not allowing themselves to be influenced by [it]." The company expects the political situation to hold for at least a couple of years. In the meantime, it hopes efforts to make its reputation irrelevant will put it ahead of its competitors. "This pressure just makes us think faster and move faster," Kaspersky says. The author travelled to the Security Analyst Summit as a guest of Kaspersky Lab.